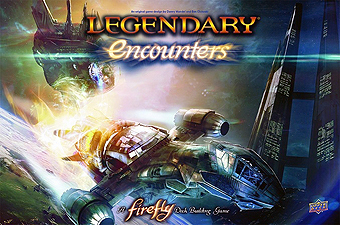 Legendary Encounters: A Firefly Deck Building Game is a cooperative game set in the Firefly verse. Players will take on the roles of the crew of the Serenity as they try to complete episodes from the acclaimed TV series. Steal from the Alliance, avoid being captured by the goram Reavers, do what you have to do to keep flyin'. Players will also have to protect and upgrade the Serenity this time around if they are going to have a chance of success. Lose the ship, lose the game. This is Legendary Encounters: Firefly.